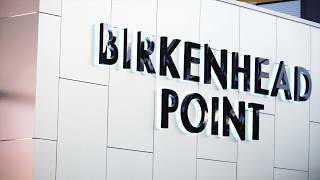 Birkenhead Point is Sydney's largest brand outlet is located only six kilometres from the Sydney Central Business District on Sydney Harbour. It is one of the only destinations in Sydney where you can shop at over 140 premium outlet brands whilst enjoying the spectacular harbour views. The premium precinct includes brands Bally, Coach, Harrolds, Oroton, Armani Outlet and Hugo Boss along with Nike, Furla, Tommy Hilfiger, Calvin Klein, Polo Ralph Lauren, Country Road, Peter Alexander, Peter's of Kensington plus many more. For visitors to Sydney, pick up your Visitor's Passport from the Guest Services on Level Two for even more great discounts. Enjoy the casual modern Australian restaurants and cafes overlooking the marina on Sydney Harbour, free Wifi and three hours free parking. Getting there is easy. The centre is accessible by public transport from across Sydney. You can also catch the Shopper Hopper for a direct ferry service to Birkenhead Point departing from Circular Quay and Darling Harbour, seven days a week. Enjoy the 22 minute journey on Sydney Harbour as you cruise past Sydney icons including the Sydney Opera House, the Harbour Bridge, and Cockatoo Island along the way.